I wish to categorically state that rumours circulating around that I recently insisted for a further six months stay at Gor Mahia and in the process turning down a 3 year offer is misinformed. Neither myself nor my Representatives have held OFFICIAL talks with the club as purported by a section of the media but I am fully aware that a meeting regarding the same is being scheduled to clear the air. Fans have reacted and I feel their frustrations because its a normal occurrence anywhere in the world of football when such reports are filtered into the air more so as a result of misinformation. I once again thank you for your continued support and may God bless you in your endeavors. Happy New Year. 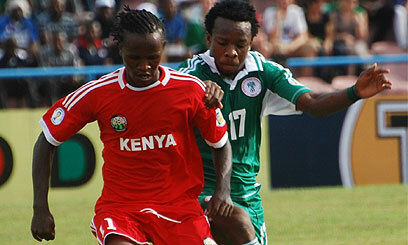 A report suggests that Gor Mahia have sealed a deal to sign KPL player of the year Kenneth Muguna. “We have been following Muguna and we are happy we have got his signature. He will play a pivotal role in our 2017 campaign,” the official who sought anonymity told supersport.com. The lanky Muguna shone brilliantly in the 2016 season playing for Western Stima. He had previously played for Palos of Kisumu. He was most notable for his tireless running and boundless energy. With Muguna and Mugiraneza in the defensive midfield area, Gor Mahia will be much stronger in the department which was weak last season. Gor Mahia tactician Ze Maria has returned from his Christmas holiday. He spent the holiday first in Italy where he lives then in Brazil. Ze Maria landed at JKIA airport on Saturday. 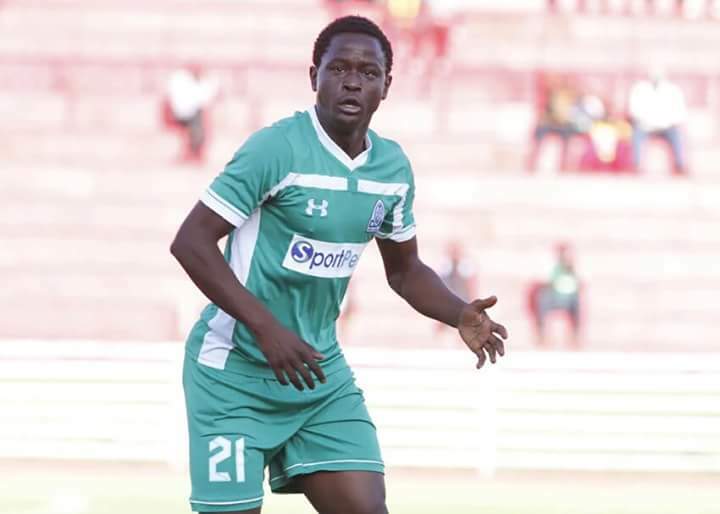 National team coach Stanley Okumbi is thoroughly impressed with Gor Mahia midfield ace Francis Kahata. In Okumbi’s mind, Kahata was the engine of the team on Sunday driving forward and creating numerous chances. Indeed Kahata likely registered more passes than anyone unlike the other members of the midfield who were less impressive. Johannah and Timbe scored but they have been accused of playing very selfishly as was Paul Were. Two of these players are transfer targets of Gor Mahia. The price tag that Bob Munro has put on Johannah is said to be Ksh 10 million. It must be said that Johannah’s lob over the advancing Congo goalkeeper was impressive. Okumbi did not field Kahata in his first two matches against Guinea Bissau and must be regretting it. Ninteen year old Eric Ouma, earned his first cap and passed the test with flying colours. He was solid in defence, not allowing anything through. None other skipper Victor Wanyama was impressed. Kogalo officials are in the midst of trying to convince Marcelo to sign a two year deal. Rwanda striker Jacque Tuyisenge carried over his goal-scoring form to the international arena. He scored twice but was unable to prevent Rwanda from losing 3-2. Abouba Sibomana also played 90 minutes in that match. Khalid Aucho was the hero of the day for Uganda. he scored the winning goal that enabled Uganda to beat Botwana 2-1 away from home. Geoffrey Walusimbi was a second half substitute. Meanwhile Muhoroni Youth defender Wellington Ochieng, who is being pursued by Kogalo has himself expressed interest in joining the club. Mathare United coach Francis Kimanzi has admitted that Gor Mahia fully deserved their 2-0 victory on Sunday. This is a rare moment of humility for a KPL coach. Most KPL coaches who lose to Gor Mahia typically blame external forces like the referees, bad luck or the inability of their players to follow instructions. 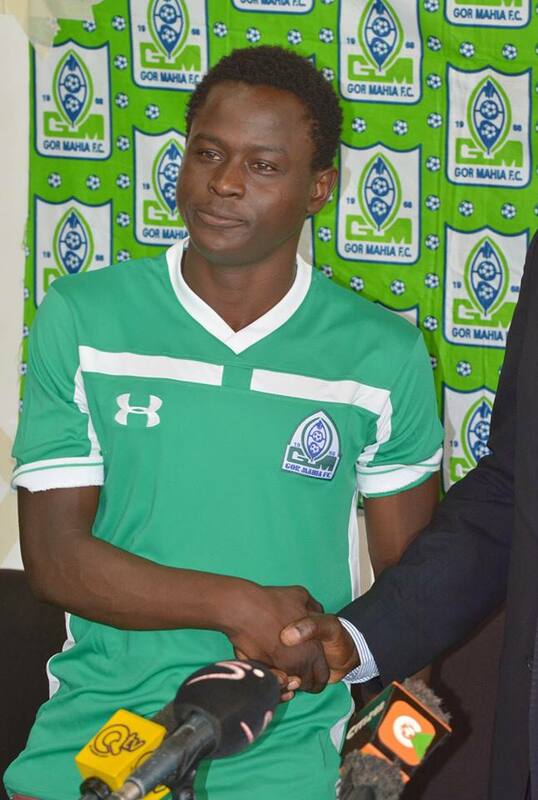 Geoffrey Walusimbi who is now in his third season with Kogalo was in fine form. Kimanzi was impressed by Walusimbi’s all round performance. “I think what won it for them was the individual brilliance from their players. Walusimbi for example got a great goal for them and though I think our defenders should have done better, I have to admit it was brilliant.” said Kimanzi to supersport. Walusimbi’s goal is an early candidate for goal of the year. He deftly lost his marker with a nifty move reminiscent of Ben Oloo “Breakdance”. Then he curved the ball to the far right corner of the goal beyond the reach of the Mathare goalkeeper. It was a goal that combined individual skill, accuracy and technical savvy. Burundian fullback Karim Nizigiyimana who started the season poorly, is rounding back into the form that almost saw him win the KPL player of the year award in 2015. Eric “Marcelo” Ouma continues to rise in stature with each game. “The two fullbacks (Eric Ouma and Karim Nizigiyimana) were also outstanding and I think they are the ones who won the match for them. They were good at their positioning and crosses too,” Kimanzi said. Six yard box poacher Jacque Tuyisenge continued his sharp displays with another well taken goal. He is now third in the scoring charts with six goals behind Ochomo of Muhoroni and Makwatta of Ulinzi. This despite missing the first few games of the season through injury. George Odhiambo “Blackberry” who has four goals is regaining some of the confidence that saw him single handedly shred defences in 2010. It is the first time in over 5 years that his name is appearing among the leading scorers. Gor Mahia’s Brazilian tactician Ze Maria was satisfied with the display on Sunday. After a slow start, the team is adapting to his philosophy and the performances are improving with each game. “It was our second match away, against a good team but we managed to get maximum points, and we are slowly getting back to where I feel we should be. The first leg is almost concluding and I am happy we have managed to at least make up for a poor start in the beginning of the season. ” said Ze Maria to goal.com. Some said that the “samba touch” could be applied only on good surfaces such as the artificial turf in Kisumu and Camp Toyoyo where Gor Mahia trains, but never at Nyayo. 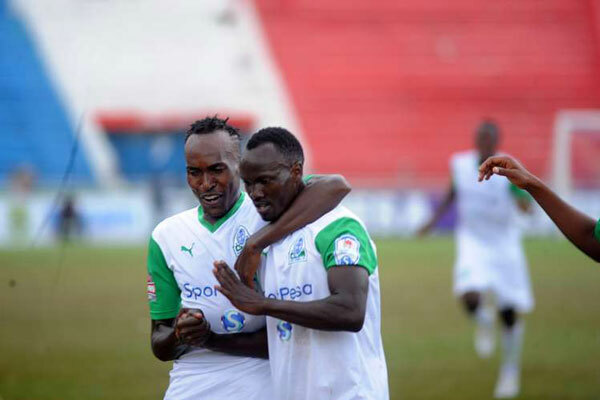 Those concerns have now been assuaged as Gor Mahia put on their best display yet. Ze maria is now keen to wrap up the first leg on a positive note as they take on bottom club Sofapaka. “Well, we want to give our best in the final match against Sofapaka and hope we can get maximum three points.” continued Ze Maria. Though at the bottom, Sofapaka has enough quality in their line-up and Ze Maria will have been advised by Ottamax about the dangers they pose. Eric Ouma’s impressive displays in recent league matches have earned the attention of the Harambee stars technical bench. He has been named to the provisional Harambee stars squad that will be play in a friendly match against Tanzania as they prepare for the 2017 ANC qualifier against Congo. Five former Gor Mahia players have been named to the squad: David Owino, Ali Abondo, Anthony Akumu, Michael Olunga and Wycliffe Ochieng. Also named are players who have been reported as potential transfer targets for Gor Mahia: Paul Were and Ovella Ochieng. Harambee stars are all but out of the running but coach Stanley Okumbi says he is building for the future. “We have to try and be competitive even as we look to cultivate a winning formula. For the friendlies, we will try out new players and formations so that we can be in a good position to win against the Republic of Congo,” said Okumbi to the Nation. For Marcelo, its a significant achievement to be named to the national team while still in his teens. The future appears bright. But it is worth remembering that the landscape is full of players who were named to the national team at a young age but failed to fulfill their potential. For example in 2010, Kogalo’s youthful team that almost won the league had four young players in the national team: George Odhiambo, Kevin Omondi, Duncan Owiti and Ibrahim Kitawi. All looked very promising. Some rested on their laurels and stopped working hard. Some lost focus. Of these only Blackberry appears to have rekindled his career. It is now up to Ouma “Marcelo” to use his national team call up as motivation to work harder. Midfielders: Ismail Said Athman (Las Palmas), Johanna Omolo (Royal Antwerp), Joseph Mbugi (Posta Rangers), Anthony Akumu (Zesco United), Victor Wanyama (Southampton), Eric Johanna (Mathare United), Francis Kahata (Gor Mahia), Humphrey Mieno (Tusker FC), Ayub Timbe (Lierse SK), Ali Abondo (Ajax Capetown), Paul Were (Clubless), Clifford Miheso (AFC Leopards) and Ovella Ochieng (Kariobangi Sharks).